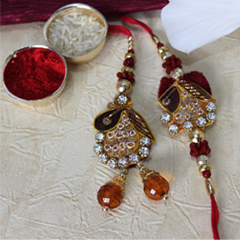 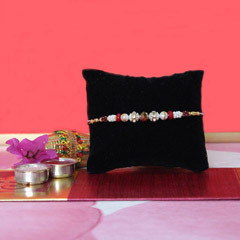 This peach colored Zardosi Rakhi with Mesh in the middle of the Rakhi gives it an eye-catchy look. 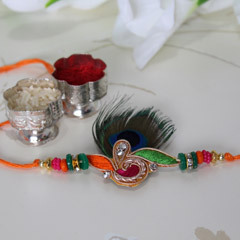 Share the bond of love with your dearest brother by tying this intricately designed Rakhi on his wrist. 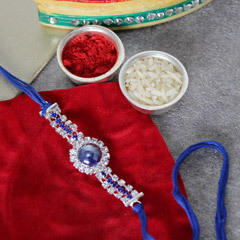 It has a golden bead and this gives it a pleasing look. 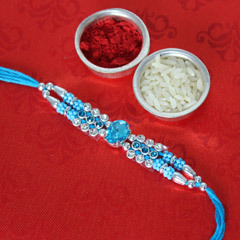 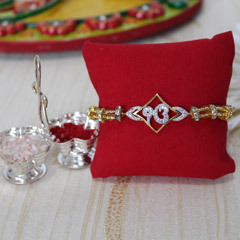 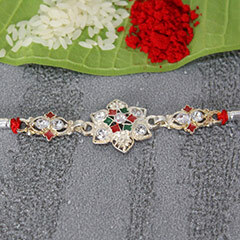 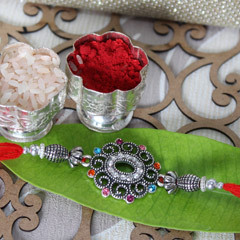 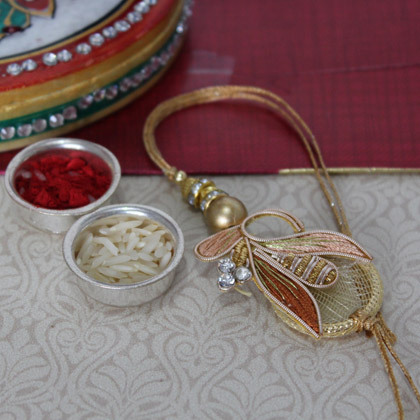 Designer silver container with Roli Chawal is made available with this exclusive Rakhi.